This Hinged and Handled Vintage Instrument Case in a Black Leatherette has Great Olde World Flavor. 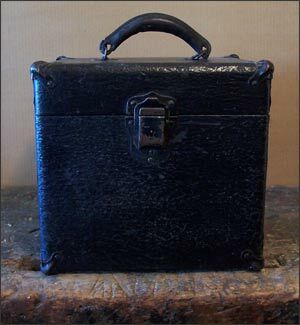 Similar to Old Record Cases, but I Believe This Case Held a Geiger Counter or Uranium Detector. 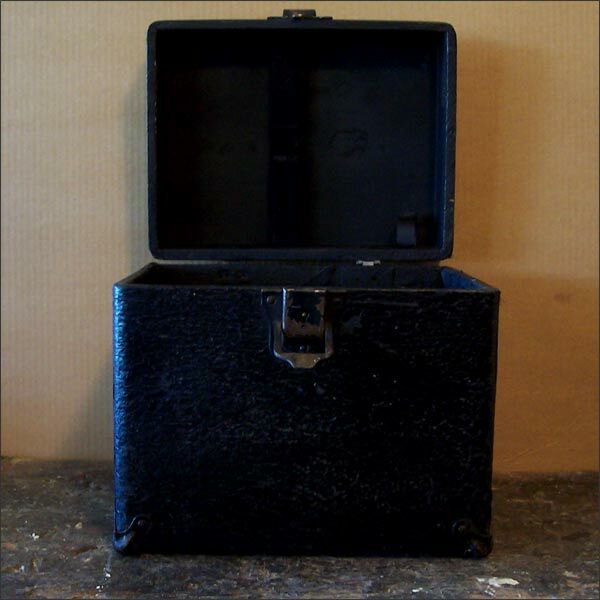 Box has been Restored, Refinished, and Cloth Lining Re-Glued. 11”w x 8.5”deep x 11”h.